Its October! Time for Halloween decorations! Apologies for my long hiatus from this blog, life gets in the way of my best intentions and efforts sometimes. I’d like to share this craft idea for a Halloween door wreath. I was inspired by this http://pinterest.com/pin/80572280804519777/ post on Pinterest. Unfortunatly I have not been able to find the original posting/poster. If any of you know, please inform me so I can give them due credit. 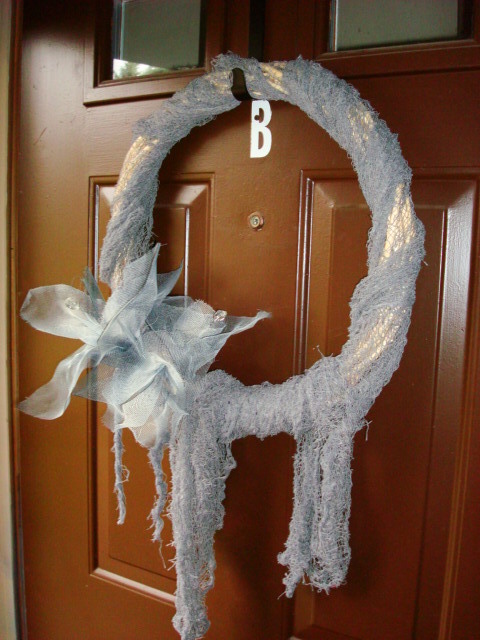 Directions: Wrap the basic wreath with the gauze. Cut the screen mesh into several squares of various sizes. I used one large square, two medium, and one small square. Diagonally fold the mesh square and shape into a flower. A word of caution, I gave myself a couple metal splinters so please me careful when working with the mesh. 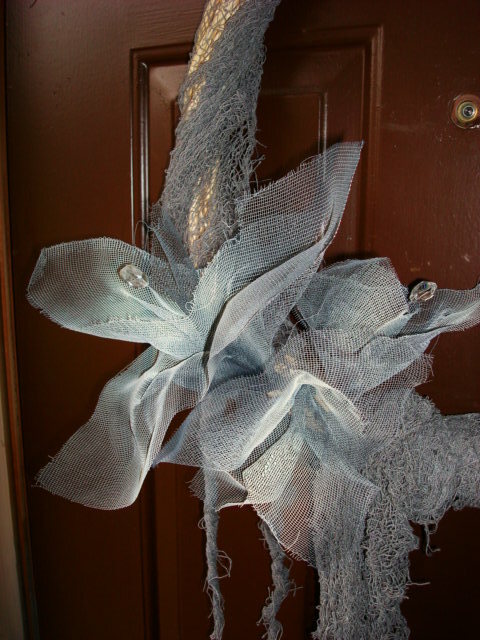 Once the “flowers” are shaped, spray paint them, allow to dry and adhere to the wreath.